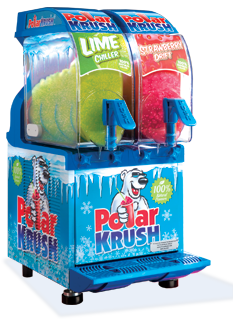 “Working with Polar Krush has made every decision very simple, we have appreciated working closely with our local representative, who offered some great suggestions based on her experience of the product and market. 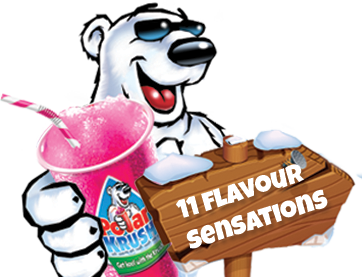 “Working with Polar Krush has been an exciting and enjoyable process from day one. As a company, we are committed to preserving our environment for future generations – and we are delighted to announce the really exciting news that, in line with government legislation, we will soon be changing all of our spoon straws to our UNIQUE design made from specially toughened paper. In any one year, we will be replacing more than 15 MILLION plastic straws – imagine what difference that will make to the world for future generations! Our UNIQUE spoon straw is made from toughened paper, and will last and last in an iced drink. We have a patent pending on the revolutionary new design, so our straws will be exclusive to Polar Krush! Concentrate for ALL machines will be in a 10 litre bag in box pack and is super easy to operate with a tap – so no more balancing a heavy bottle to fill your mixing bottle. All 11 flavours will all be in the same, new packaging format for both MANUAL and AUTOFILL machines!! SAME AMAZING FLAVOURS – NOW SUGAR FREE! All of our fabulous, mouthwatering flavours have been reformulated without sugar. The range is a guilt-free treat, made with natural colours and flavours, completely ALLERGEN FREE – and sweetened naturally with stevia, meaning almost zero calories. Contact us for more information about the range through our contact form, or call 0845 250 0758.